Musume Senshi’s Astrologer in Residence has calulated the Auspicious Hour for the launch of what we affectionately term Project X, or the Arrival of the Mystery Puffin. Even though there will be a Void of Course Moon…. And axiomatically, the Moon does still function in Cancer, even when she is Void of Course but, it puts things in a good house and by then the Moon is freeing herself from being Combust. She has moved around 5 degress from the Sun. And her last aspect is a conjunction with Mati (Mercuria) which is good for us. Anyoldhow! 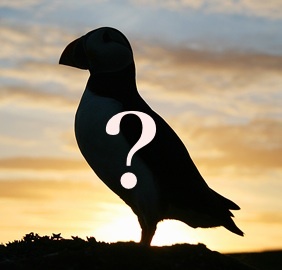 The upshot is: call in at 10pm Pacific Time to find out what the Mystery Puffin has to reveal! Oh gosh! I did not know you were going to post my “thinking out loud” babblings…smiles broadly, Suffice it to say that 10 a.m. looked like the best time!